Last day of July already and what a different one with the high heat and good amount of rain. It rained a bit last night to make it nice and steamy today. My image today is of a different kind of steam, my favorite, a steam train and of my favorite railroad so as not to bore too much with images from the Henry Ford. 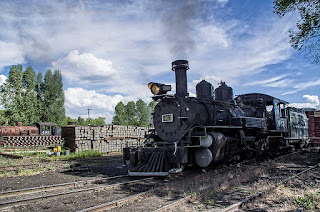 :-) This is Cumbres & Toltec locomotive 463 working in the yard in Chama New Mexico after a trip we went on a couple years ago. 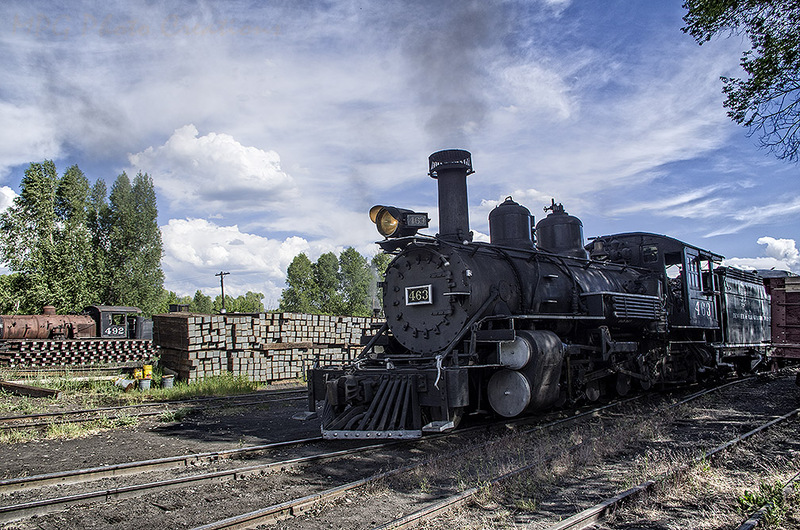 The C&T was voted in a poll from USA Today recently, the Favorite Tourist Railroad. I have to agree, love it.